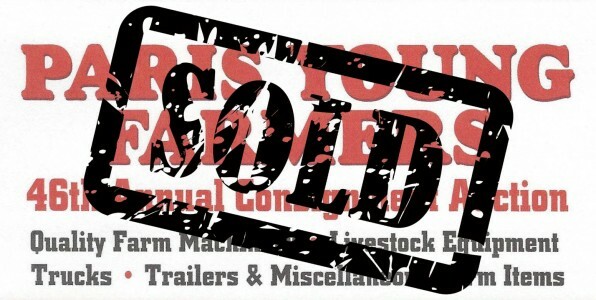 The Paris Young Farmers Annual Consignment Auction is a fund raiser held every year to generate funds to be used for scholarships for local young students pursuing an agricultural related career. NOTE: All tire consignments must be approved by the Paris Young Farmers at check-in. Also there will be a $10 disposal fee per tire if any consignors tire(s) do not sell. NO BALD OR SLICK TIRES WILL BE ALLOWED. 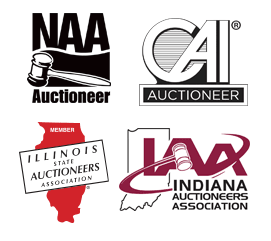 All decisions pertaining to this auction made by the Paris Young Farmers are final. NO EXCEPTIONS. All items must be removed by March 31, 2019 or they will be surrendered to the Paris Young Farmers. Local Auctioneers donate their time: Matthew Moss, Kerry Lenhart, Jim Knowles, Callie Baber, Cole Vietor, Dean Wright & Tucker Wood.